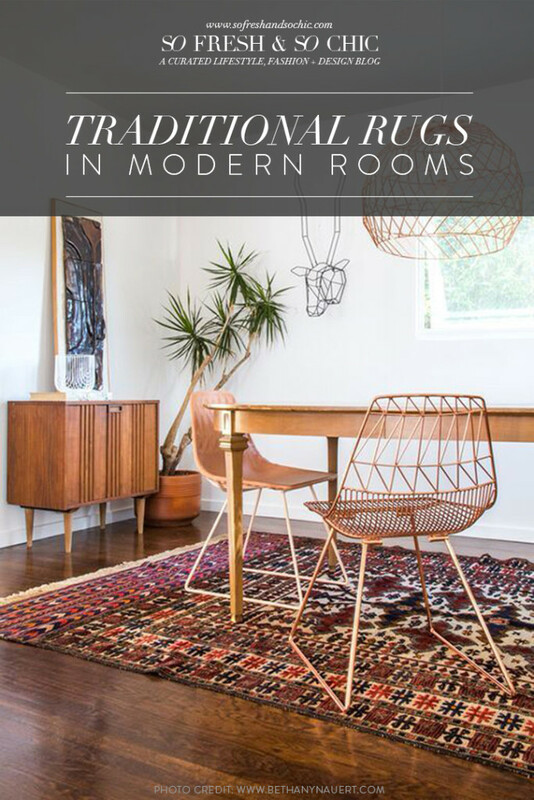 Today, I wanted to show you how amazing traditional rugs can look in modern rooms. This is an on-going interior design obsession of mine. I love the pattern play in bright white rooms with muted furniture (so California chic! ), and I especially love the texture and vibrancy these rugs bring. One of my favourite interior designers, Amber Lewis, is an absolute master at nailing this look. 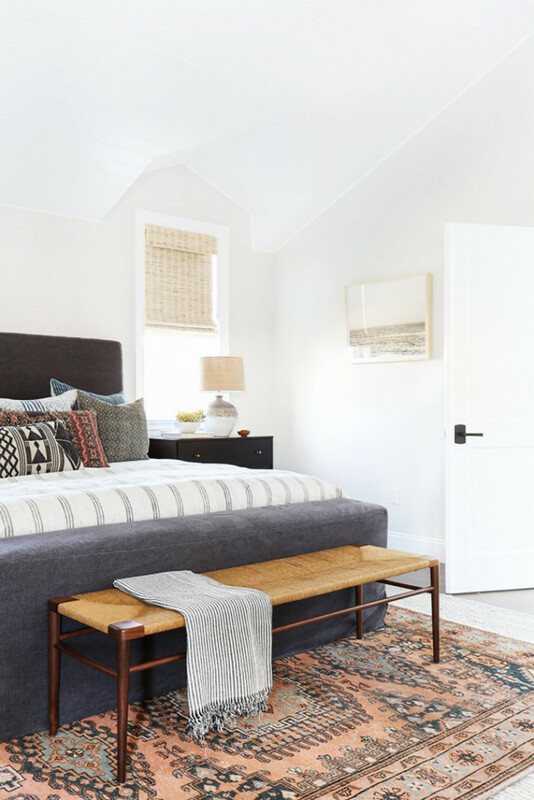 She’s a pro at layering so your eye keeps going from one element to another, discovering more and more to appreciate in each room, without making it seem overwhelming or over the top. That’s a serious skill, y’all. 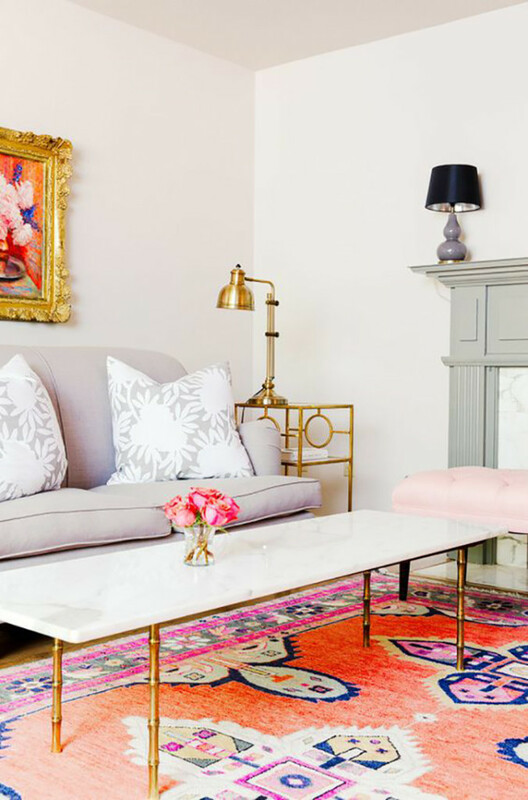 In the meantime, let’s take a look at a few inspiring modern rooms with traditional rugs that are completely killing it, shall we? Light, bright walls, check. Corkboard desktop, check. Gorgeous traditional rug, check. I would love to work in a space like this! Via Deko Magazine. I mean. 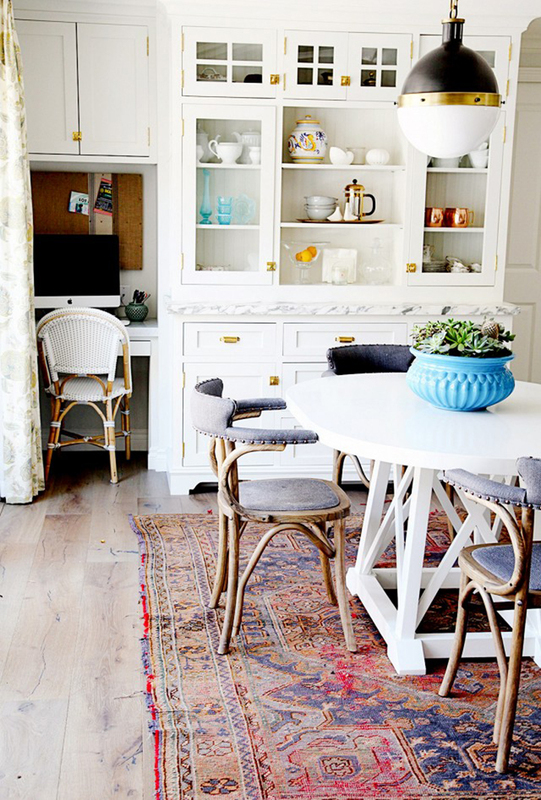 The colours in that beautiful rug plus the brass accents? Come ahn. Via Caitlin Wilson. My favourite kind of space! 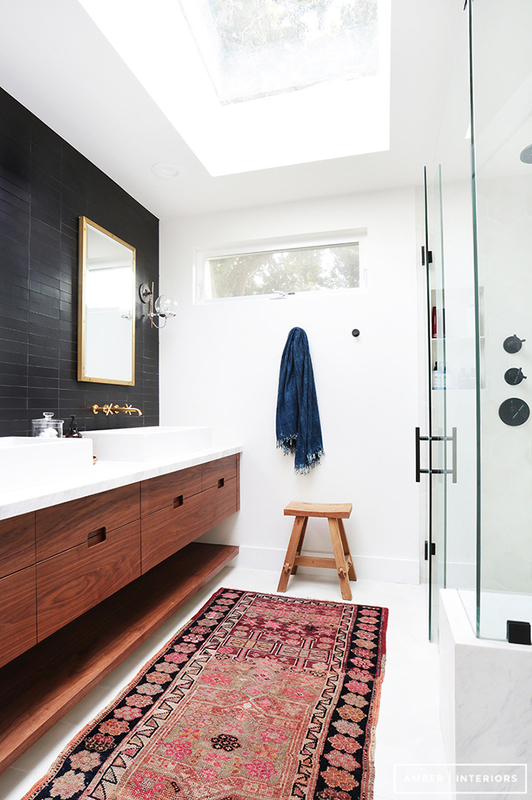 Natural light, bright and airy, mid-century mod furniture and a gorgeous rug to ground it all. Via DesignMilk. Just stunning. 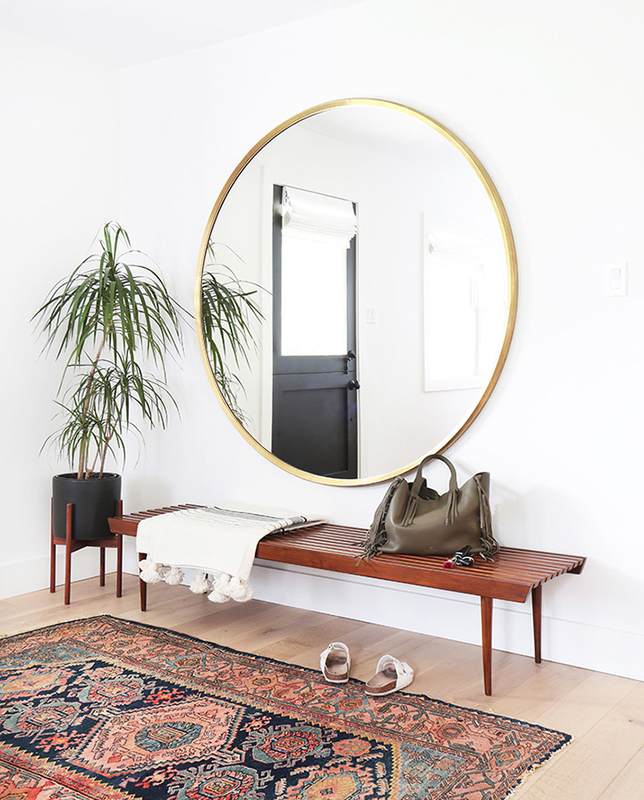 Entryway perfection. Via Amber Interiors. 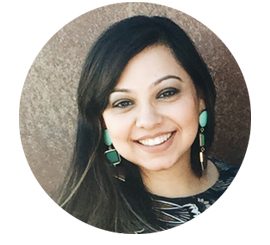 Photo credit: Tessa Neustadt. More from the amazing Amber Lewis. I love the peach and teal tones in this rug. It complements the grey bed so well! Amber Interiors via My Domaine. Photo credit: Tessa Neustadt. Such a beautiful, functional kitchen! 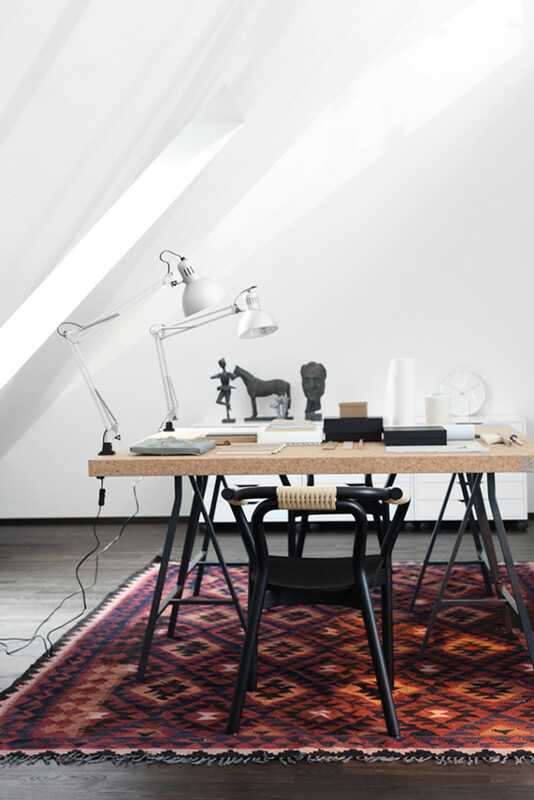 Other than the traditional rug, obvs, I love the little desk tucked into the corner too. Via My Domaine. Photo credit: Sabra Lattos Photography. Seriously? Seriously. I could design my whole living room based off this one photograph and it would be chic as hell. I told you she was amazing! Via Amber Interiors. Photo credit: Tessa Neustadt. I love this particular rug so much. Also love the brass light fixtures above the island. Via Veneer Designs. Photo credit: Amy Bartlam. 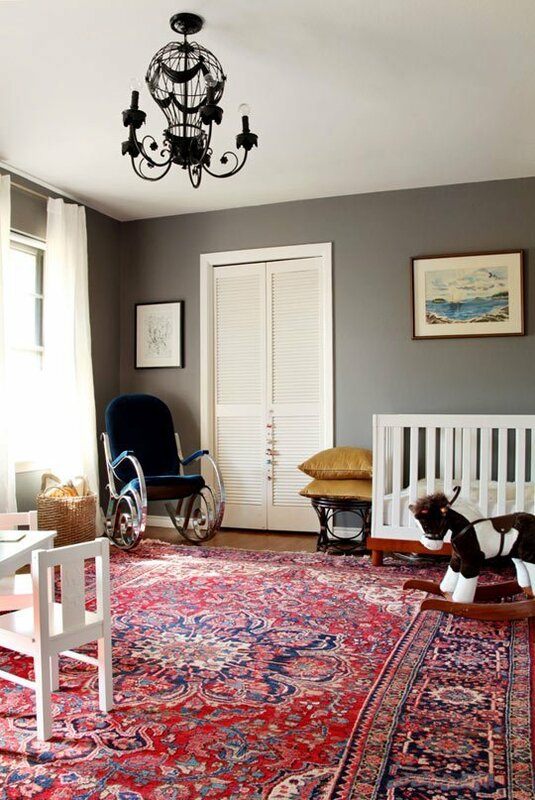 What a gorgeous nursery this is! 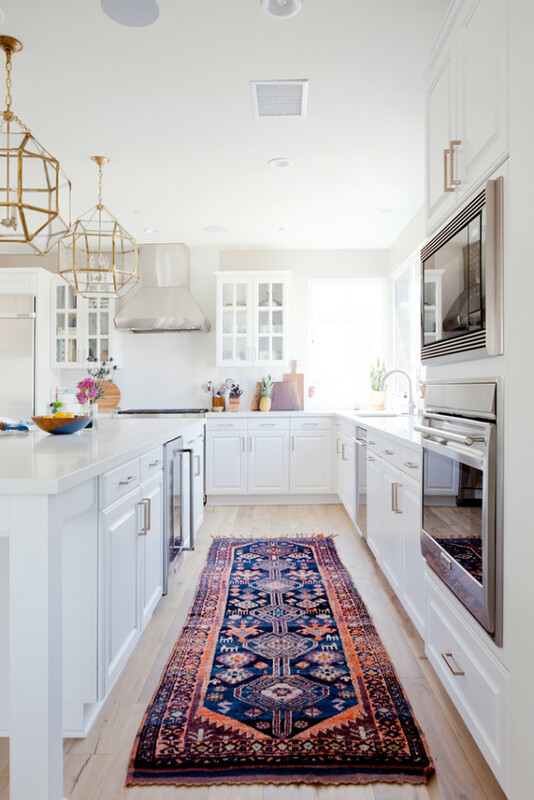 There is so much that is pretty here but I think we can all agree the traditional rug makes the space yet again, don’t you think? Via Apartment Therapy. 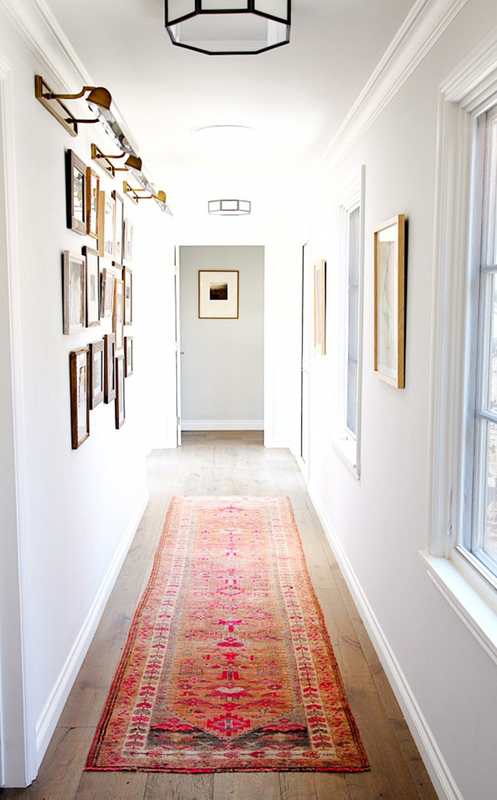 Transitional spaces like hallways can also be dressed up with traditional rugs and look fabulous. Via My Domaine. Photo credit: Sabra Lattos Photography. * Affiliate links. I may be compensated if you choose to purchase a product from clicking one of these links. Your price will not change. Thank you for supporting these brands and allowing me to continue bringing you stylish inspiration! Tell me what you think. I’m all ears! 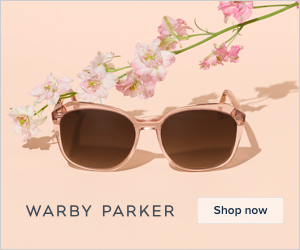 My Top Picks from the Nordstrom Half-Yearly Sale! Hello! Love your style. 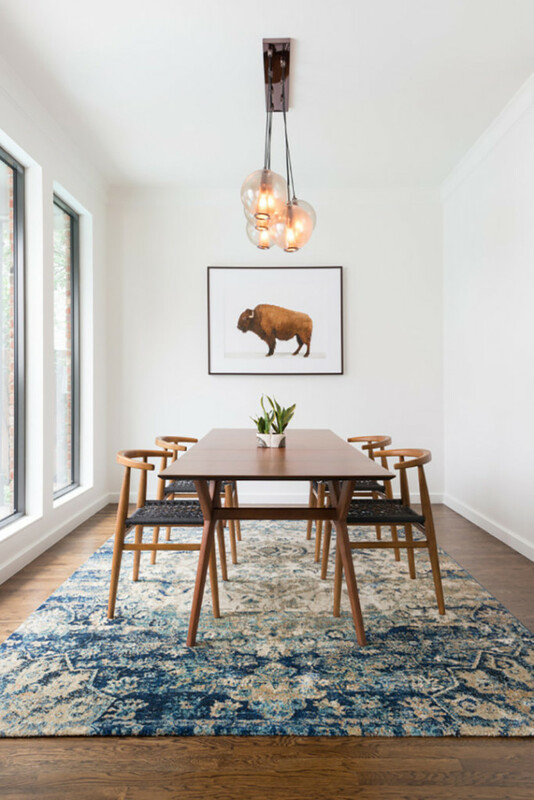 Wondering if you know any of the paint colors, specifically the last photo in this post–would love to know the paint color and also the light fixtures and rug in this photo!